Have you ever had the feeling that some things just won't die? Some people think of this phrase ("some things won't die") when referring to great battery life in their smartphone (or smartwatch! ), and others refer to people they know who've survived difficulties and struggles in life to be where they are now (they "won't die," meaning that they are tough survivors with bold courage). 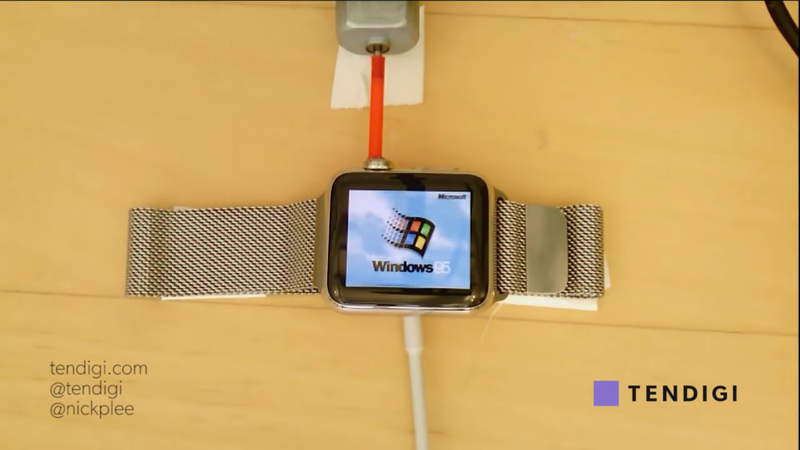 Well, I'm afraid to tell you that this news story doesn't pertain to either; rather, it's the case that one Apple Watch owner resurrected Windows 95 -- on his Apple Watch! YouTube page owner Nick Lee has posted his video (see below) of his Apple Watch hack. As you can see, it has the old Windows 95/98 menu that most will remember (and shudder to think about) with multiple selections that lead to selections, and with the green safety mode screen that you'd use whenever your device had something wrong with it that needed a reboot. Apart from that, there's little to tell. The small display of the Apple Watch, as is the case with all smartwatches, is so small that you can't even make out the specific selections of Lee on it at all. This new hack, though, reminds us that, with a little time and ingenuity, you can make your mobile gadgets work in your favor. You can even use third-party wristbands if Apple's own selection, including the new nylon bands, don't fit your fashion and financial senses. Yes, WatchOS doesn't appeal to everyone. Perhaps the perfect device consists of a multitasking system with Apple Watch design. That's not my view, but maybe there's some customer demand for it. Until that day, watch Lee's video below and have a good laugh or nostalgic moment, at least.